1 passes to the weak side forward, and cuts to the corner on the same side. 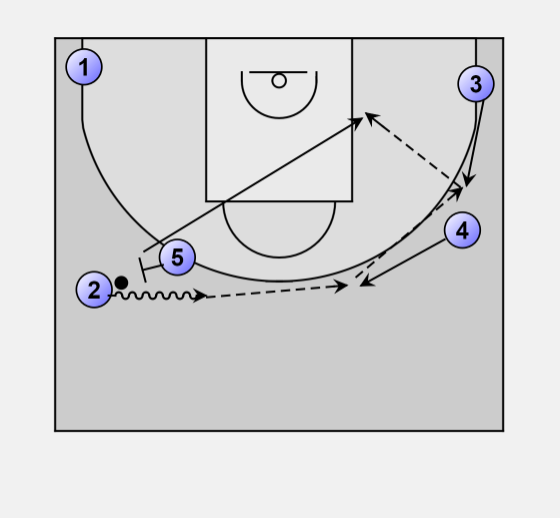 5 sets a side screen for 2, for a side pick & roll. After the pick & roll 5 cuts down and will be posting up. 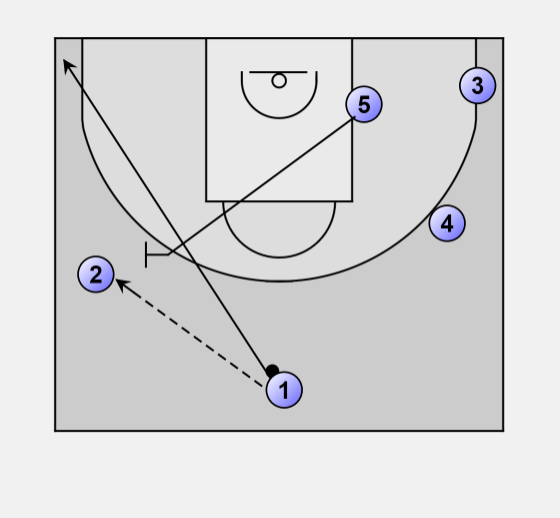 The ball is from 2 to 4 and from 4 to 3 to get the best passing angle to feed the post(5).